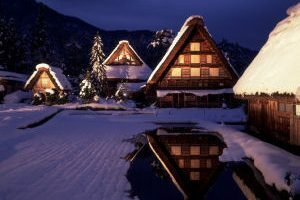 Shirakawa-go illumination display event cannot be observed on the fixed-route bus. 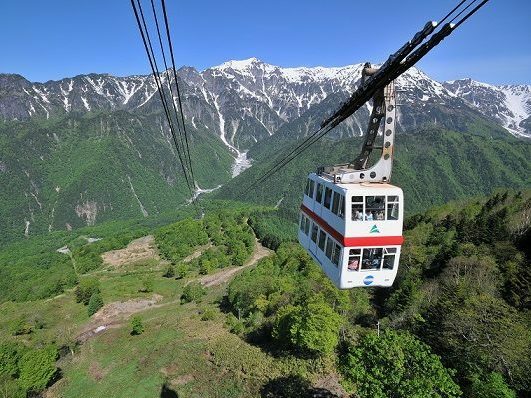 Please use the above sightseeing bus from Takayama. 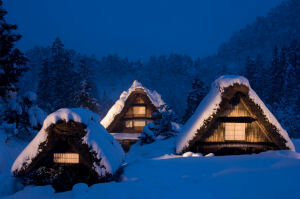 The Shirakawago Illumination Tour is one of the region's most popular winter attractions. 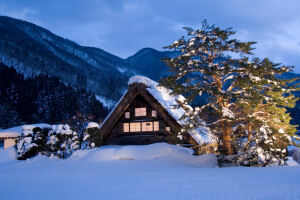 We invite you to experience the beauty of the World Heritage Site in snow. Please make a reservation by telephone up to one month in advance (starting at 9:00AM 1 month to the day). ※There are only limited numer of seats. Please book as soon as possible. 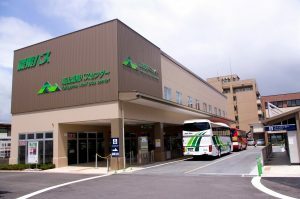 Please arrive at Takayama Bus Teminal no later than 15 minutes before departure. ※The ticket counter will be very crowded on that day. 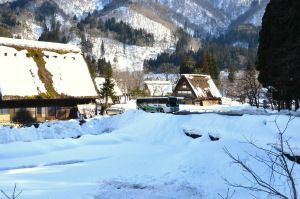 Take 60 minutes bus ride and arrive Shirakawa-go at 16:30. You are free to walk around the village. Please enjoy the illumination. 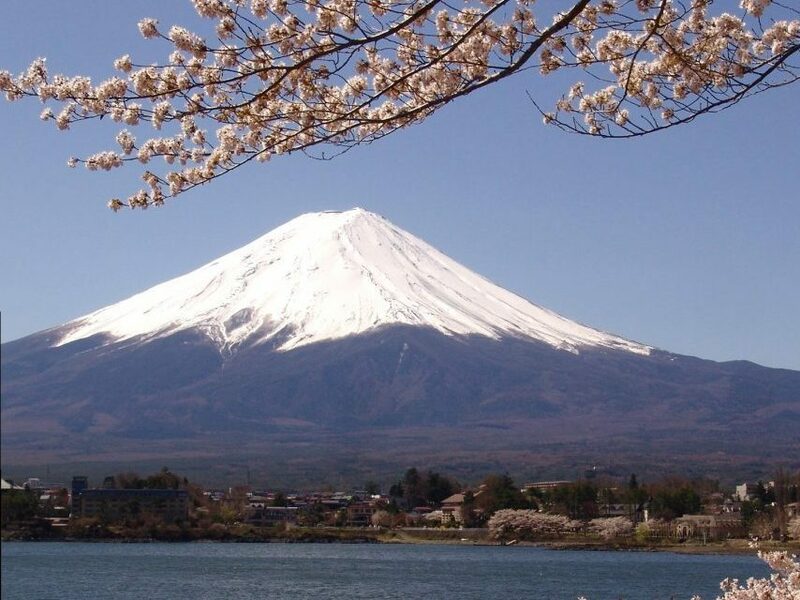 ※The entrance to the Tenshukaku Observatory is restricted in order to ensure your safety. A paid shuttle bus (500 yen per person) runs to the observatory, and it is prohibited to go on foot. Although the shuttle bus ticket is scheduled to be distributed from 16:30 on the day, not everyone can visit the Observatory as there is a limited number of tickets. Please make your application after kindly understanding that the above measures are for your security. 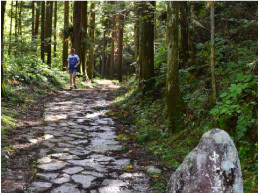 ※Ticket to Gassho-zukuri Minkaen Outdoor Museum is included. Snow piles up more than 2 meters thick when they have heavy snow falls. Please be careful not to slip! Please make sure to come back by departure time. ※There can be up to 2 meters (6ft.) of snow. Please dress warmly and wear appropriate shoes. Reservations can be made by telephone up to one month in advance. ※You can book it on the day if there is a seat. In case of cancellation, Please inform us by phone or by e-mail. 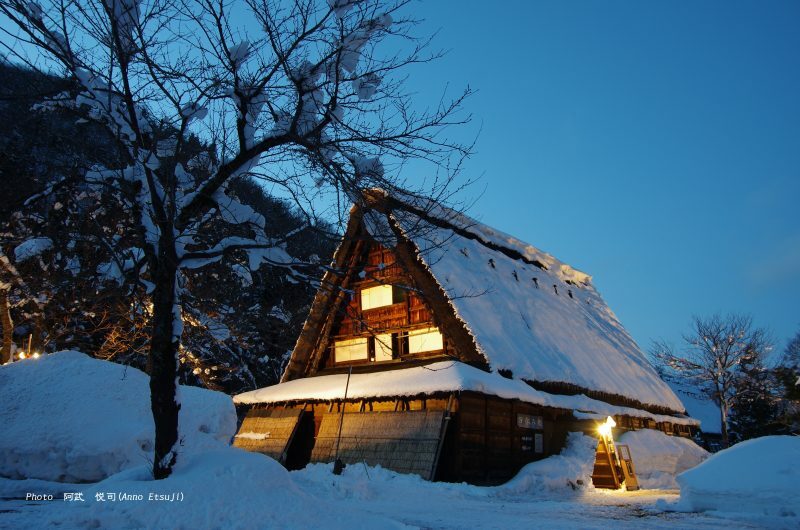 The biggest gassho-zukuri house in Shirakawago and designated an important cultural property of Japan. Open to the public until 19:30 during Illumination event. 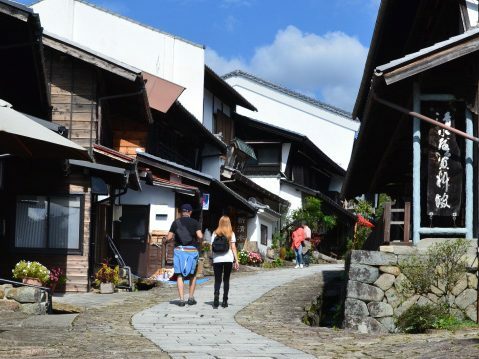 The branch of the Wada clan established their house here and built up a sake brewing business. This is a high-quality Gassho-style house with its steep rafters, where delicate carpentry work can be seen,and a truly advanced room layout. 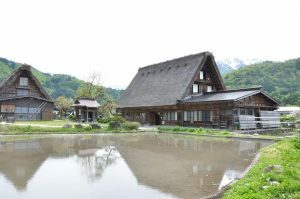 This open-air museum includes many Gassho style houses transferred from Kazura Area, Shirakawa Village and restored here.